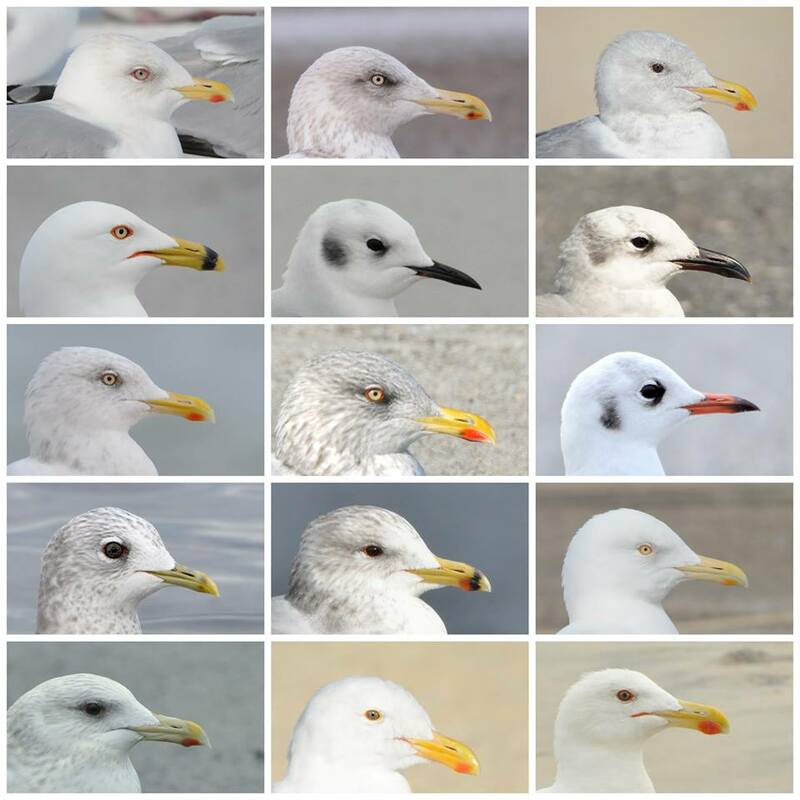 Fourth time lucky for this techno-challenged gull watcher trying to post his answers to the quiz. Nice Poster. Nearly perfect! Pretty impressive. If you had a second choice for the middle bird in the top row, what would it be? You are probably going to say it is a SBGU, there aren't any species left with streaked heads and red gonydeal spot. The weak red spot and washed out bill over all I guess are more SBGU than HERG and the more you look at it the more diffuse the head streaking appears. The white staring eye is SBGU-like. The pic is too small to see orbital ring colour. The more you stare at the picture the easier it is to imagine the slate coloured back that must be attached to this bird.